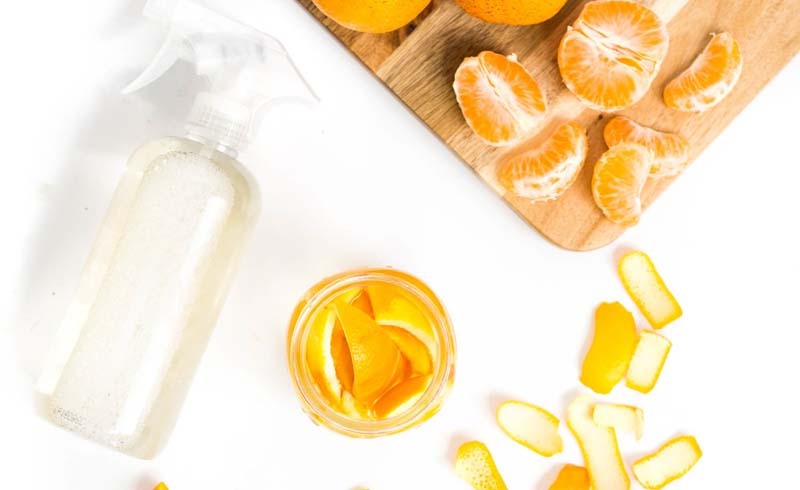 How to Turn Your Citrus Peels Into a Non-toxic Kitchen Cleaner! Place your citrus peels in a mason jar and cover with white vinegar. 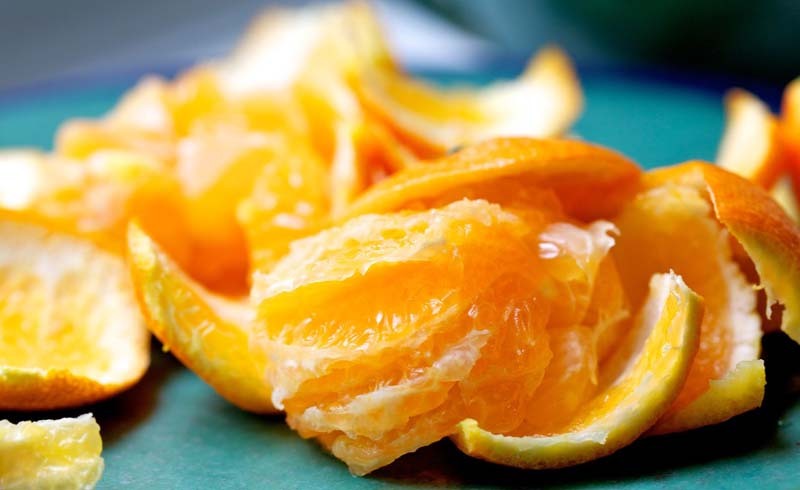 Mandarin orange peels work well for this since they come off so easily and because it’s so hard to eat just one, but you can also use the peels from other oranges or lemons or limes. Use what you have around! Make sure you’re just using the peel and not any of the fruit, as the fruit will make it sticky. Let the vinegar infuse. It will take 1-2 weeks to infuse its amazing essence into the vinegar. While you are letting your vinegar chill, we recommend binge-watching the Great British Bake Off to soothe your soul and stock up on recipe ideas! Strain out the citrus. Then combine your citrus vinegar with equal parts water so you can use it around the house as a cleaner. Use around the house to clean your countertops and cutting board! It’s easy, aromatic, and you’ll feel extra good about putting every part of the citrus in your box to good use. Just be careful to not use on marble, granite, or hardwood floors as it can stain/damage them. U.S. Daily News: How to Turn Your Citrus Peels Into a Non-toxic Kitchen Cleaner!